The multipurpose building at the California Montessori Project charter school consists of construction of a new, slab on grade modular gymnasium with administration building and restroom wing. The building totaled 8,800 square feet and included a full basketball court, 2,000 sf administrative wing, a 1,500 sf restroom, physical education office and warming kitchen wing. The gymnasium had 20’ column heights with a 26’ peak height. JL Modular was able to deliver the project in 3-1/2 months by utilizing prefabricated modular systems, extra manpower and an escalated schedule. 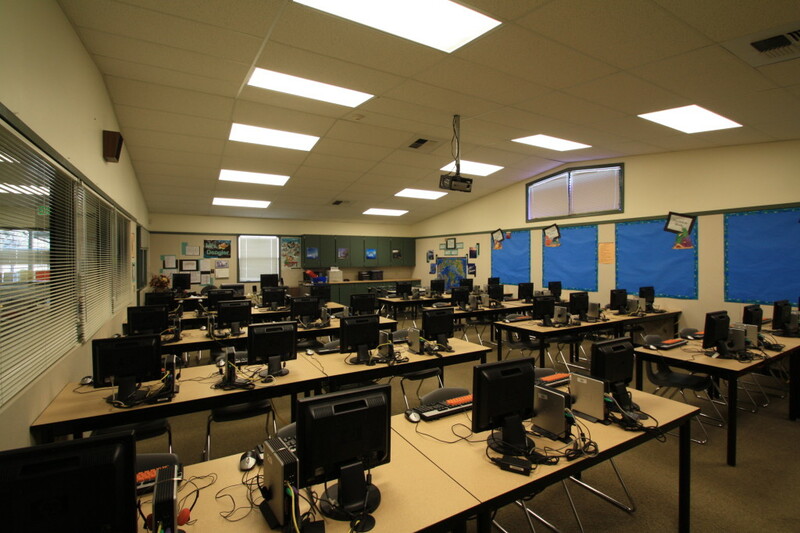 JL Modular developed this two-story modular 21st century classroom building totaling 10,880 square feet with eight classrooms, two science labs, teacher workroom and two accessible restrooms. The building is structural steel with metal stud framing, standing seam metal roof, stucco finish and tile exterior. The building features high ceilings and large windows with clerestory windows on the second floor, an exterior walkway with two stairways and an elevator. The exterior finish features a tile wainscot that wraps around the building to match the exterior of the existing school buildings. The classroom building features the 21st century learning environment with encourages a collaborative learning environment. They utilize Nana Wall folding doors which open up two classrooms into a large innovative and adaptive learning area. The classrooms also have custom cabinetry with integrated teaching walls and a modern Audio Visual systems. Construction of a new two-story, 12 classroom building and modernization of the permanent buildings and associated site work. 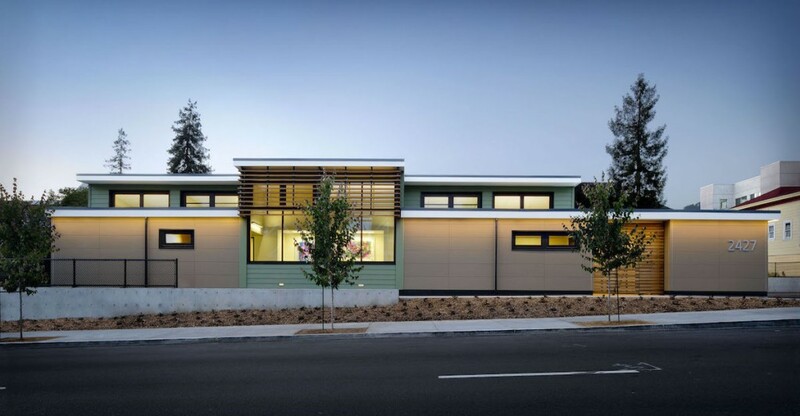 New slab-on-grade permanent modular classroom building.